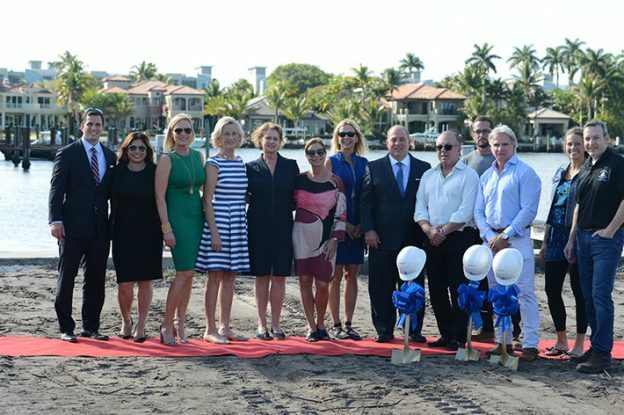 On February 7th, 2019, Pascal Liguori & Son hosted the Groundbreaking Ceremony which started at Cove 4—the exciting new four-unit luxury townhome development to be constructed by Seaside Builders at the exclusive address of 344 Venetian Drive, Delray Beach, Florida, directly fronting the breathtaking wide waters of the Intracoastal Waterway. 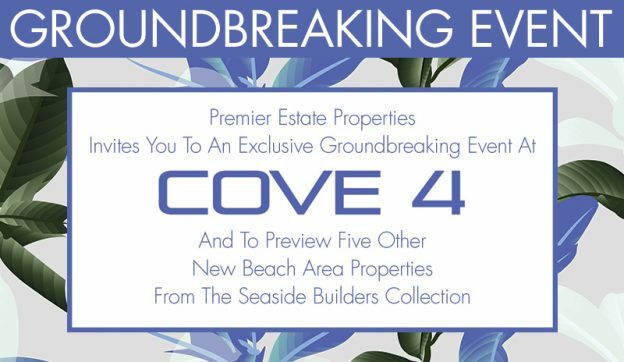 The event continued to six other beautiful new beach area properties from the Seaside Builders Collection: 707 Seasage Drive, 202 Venetian Drive, 1210 Seaspray Avenue, 104 Andrews Avenue, 1210 Seaspray Avenue, 917 Bucida Drive, and 101 and 105 Southeast 7th Avenue. Situated directly on the Intracoastal Waterway a short stroll away from Delray’s prized beaches and just a few blocks from the bustling hotspot of Atlantic Avenue, it’s easy to see why Cove 4’s address of 344 Venetian Drive is so sought-after. Such an exclusive location demands only the finest in construction. The stunning residences of Cove 4 offer effortless and stylish modern luxury living for the discerning South Florida homebuyer. 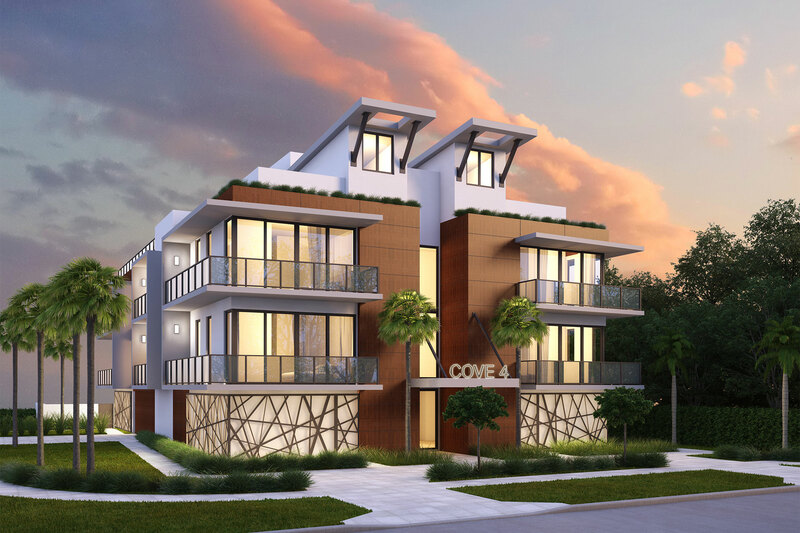 Cove 4’s design is defined by striking modern architectural features, which include geometric accents, mixed materials, and floor-to-ceiling moving glass walls that open to balconies with glass-pane railings. Luxurious features abound and include a private rooftop terrace for each unit, which includes a summer kitchen and private spa and adorned with breathtaking views of the surrounding cityscape and wide waters. Take the exclusive video tour of Cove 4 and discover modern luxury waterfront living. Each unit of Cove 4 at 344 Venetian Drive, Delray Beach, Florida is offered at $3.495 million USD. For more information, please contact Pascal Liguori by phone at (561) 320-3109 or by email at pascal@premierestateproperties.com. This entry was posted in Uncategorized on March 8, 2019 by Pascal Liguori. Car enthusiasts—mark your calendars. The 13th Annual Boca Concours d’Elegance will begin its three-day event starting February 22nd through the 24th. Three days of he finest exotic, classic and custom cars and motorcycles from all over the world, as well as will be on display. The event starts on Friday night at Atlantic Aviation at the Boca Raton airport with the duPont Registry™ Live Hangar Party from 6:00pm to 9:00pm. Select tastings from South Florida’s finest restaurants will be available; and many different exotic cars, custom motorcycles, extravagant boats, private jets and more will be on display. On Saturday night, enjoy the Concours d’Elegance Grand which includes a Gala Dinner, Auction and Show starting from 5:30pm to 11:00pm. The bash begins with a presentation of the Annual Automotive Lifetime Achievement Awards, followed by a live auction where guests will have the opportunity to bid on more than just cars, but also incredible trips, experience packages, stunning jewelry, and more. Guests will conclude the night with a fabulous performance by acclaimed comedian Jay Leno. It all ends with a bang on Sunday at the Boca Raton Resort & Club. 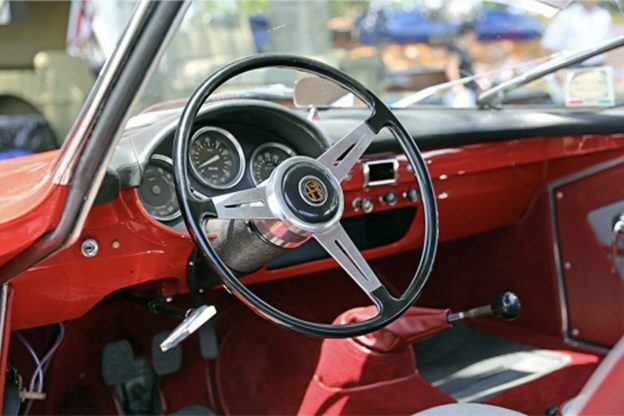 175 of the finest collector cars and motorcycles will be on display on the show field. Each participant will be evaluated on a number of criteria and judged by a host of celebrity judges, including Jay Leno. Guests can also enjoy a mixture of savory food, wines, and cocktails from South Florida’s top-tier restaurants. We are pleased to present our own collection of listings of exquisite luxury homes for the discerning home buyer. We feature a variety of exquisite luxury homes to match your lifestyle, needs and budget—including many high-value estates, townhomes, condominiums, and lots available at cost-effective prices. If you are considering the purchase of a high-value luxury residence, contact Pascal Liguori & Son by phone at (561) 320-3109 or email at pascal@premierestateproperties.com. This entry was posted in Local News on February 20, 2019 by Pascal Liguori. This entry was posted in Pascal Liguori News on February 1, 2019 by Pascal Liguori.